Perhaps one of the more quirky events in the Brighton and Hove calendar takes place this Saturday. The British Beard and Moustache Championship starts with a parade through the town, starting from New Road and culminates in the judging at the Dome later in the day. 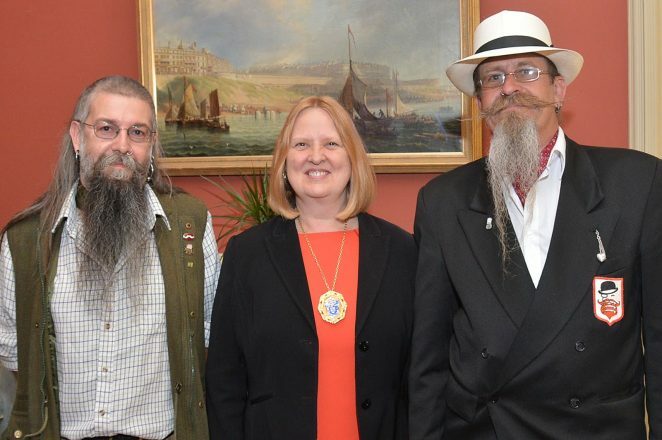 Our chief photographer Tony Mould, who boasts a mean moustache and beard himself, caught these two contestants chatting to the Deputy Mayor, Councillor Anne Meadows in the Mayor’s Parlour. Would they get your vote? Contenders in the Beard and Moustache Championship with the Deputy Mayor, Councillor Anne Meadows.